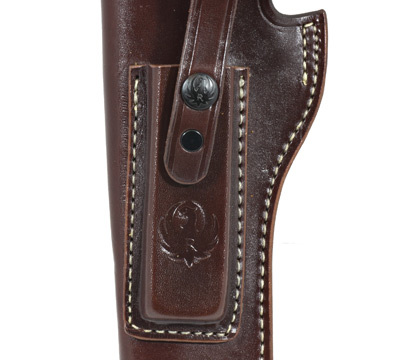 This beautiful holster is designed to fit Mark IV™ & Mark III™ models with 6-7/8" barrels. 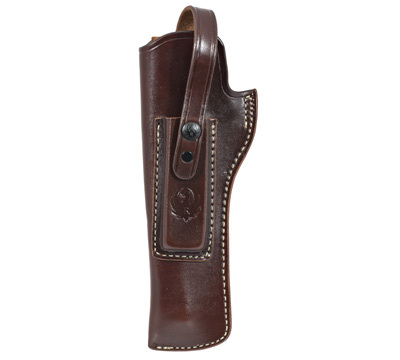 It includes a magazine storage pouch for one 10-round 22 LR magazine. 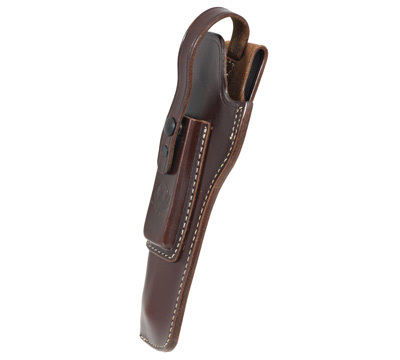 The holster fits 2-1/4" or smaller belts and includes a strap to secure the pistol and magazine during carrying. 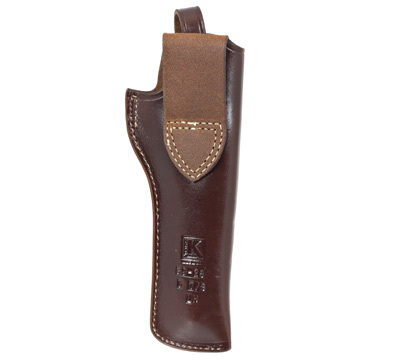 It has a rich walnut oil finish with a stamped Ruger logo. Left hand only. Made in the USA.